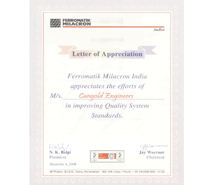 We, Cangold Engineers, have established ourselves as one of the premiere manufactures and suppliers of qualitative range of industrial equipments. Our prominence in this domain of industrial equipment has been due to the unique qualities that we possess in terms of infrastructure, tem professional competencies and customer collaboration. 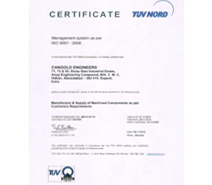 Our services and products are highly valuable as we offer them with a stamp of quality and cordiality. We are proud that our equipment have high performing capabilities, a sturdy body structure and can custom made with dimensional accuracies. We are progressive minded people with customers being our prime focus and central all our activities to satisfy them. We have attainted customer satisfaction to the maximum which has enabled us to gain a large number of clients. 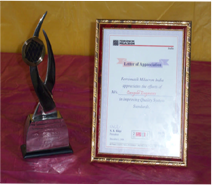 Customers have shown their appreciation and have trust and belief in our company. They are also pleased with the prices that we offer. 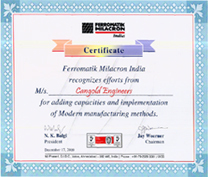 Cangold Engineers, Ahmedabad, India offers wide range of the highly precise hydraulic cylinder parts. With modern and sophisticated machineries and techniques, we are able to provide high quality hydraulic cylinder parts. Plot No.168, Road No.4, Kathwada G.I.D.C., Kathwada, Ahmedabad-382430, Gujarat, India. Copry Right 2014 Cangold Engineers All Rights Reserved.